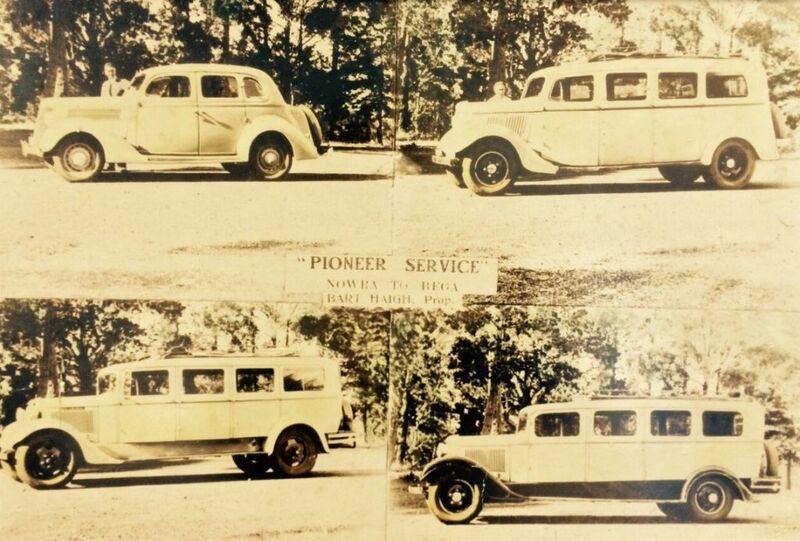 Pioneer Motor Service commenced operations in August 1929 using seven seater cars which operated from Bomaderry Railway Station (Nowra) and serviced the townships of Tilba Tilba, Central Tilba, Bermagui, Cobargo, Quaama & Bega. 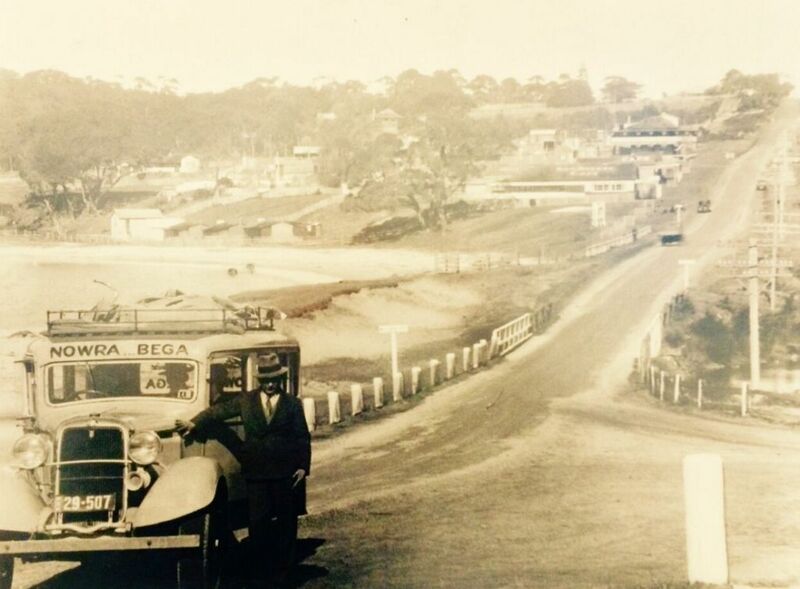 In 1962 Pioneer Motor Service purchased Bartletts Bus Service which increased the area covered to incorporate the whole of the South Coast between Nowra and Eden. In May 1995, Pioneer Motor Service was acquired by Nowra Coaches Pty Ltd owned by John King since 1988. After the purchase of Pioneer Motor Service, John King immediately embarked on a program of upgrading the systems and processes and in June 1996 further expanded the long distance operation with the purchase of the Kirklands Bros. service from Brisbane to Sydney. Two months later the purchase of Lindsay’s Coaches resulted in Nowra Coaches Pty Ltd (T/A Pioneer Motor Service) operating a Long Distance coach service between Brisbane and the Victorian border. The emergence of Premier Motor Service occurred as a result of legal action in 1997 which necessitated Pioneer Motor Service change its name. 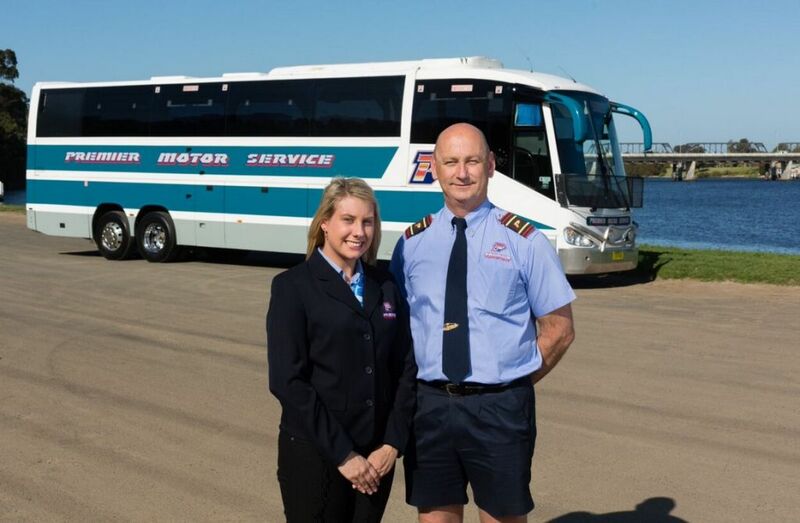 Today, Premier Motor Service operates along Australia’s East Coast and is one of the largest and most professional long distance coach operations regarded highly for its safety and service. The above entities operate under the Premier Transport banner which today includes in excess of 500 buses and coaches and employs over 500 staff. Through its focus on safety, reliability and professionalism the Premier Transport Group has gained a reputation as one of NSW and Queensland’s most dynamic and trusted Public Transport operations.